In addition to chorus participation, members may voluntarily form quartets to pursue another avenue of their hobby of singing barbershop harmony. Participation in a quartet provides a unique opportunity for four singers who share similar interests with respect to their goals and development as a musical, performing unit. 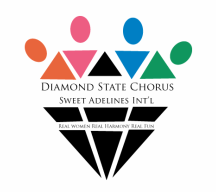 Diamond State currently has one active quartet, Vocal Exchange.